The 2nd Rhode Island Regiment also known as Hitchcock’s Regiment was authorized on 6 May 1775 under Colonel Daniel Hitchcock in the Rhode Island Army of Observation and was organized on 8 May 1775 as eight companies of volunteers from Providence County of the colony of Rhode Island. As part of a brigade organized under Nathanael Greene, the unit participated in the Siege of Boston during the remainder of 1775. Some elements accompanied Benedict Arnold’s expedition to Quebec late in the year. The unit was renamed the 11th Continental Regiment on the first day 1776. In its new designation, the regiment fought in the New York and New Jersey campaign starting in August 1776. After retreating across New Jersey, the unit was renamed the 2nd Rhode Island Regiment and fought at Assunpink Creek and Princeton in early January. Hitchcock died soon after and the 2nd Regiment was ordered away to defend the Hudson River valley. In September 1777 the regiment, now under Colonel Israel Angell, was recalled to the main army for the Philadelphia Campaign. With the 1st Rhode Island, it won a victory at Red Bank in October 1777. Portions of the unit defended Fort Mifflin where the 2nd Regiment’s Major Simeon Thayer assumed command of the fort near the end of the siege. In 1778 the regiment fought at the battles of Monmouth and Rhode Island. In June of the following year it was in the thick of action at Springfield in New Jersey. On 1 January 1781, the regiment was consolidated with the 1st Regiment and the new unit was renamed the Rhode Island Regiment. For the unit’s subsequent history, see the 1st Rhode Island Regiment. 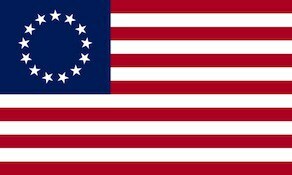 The regiment was adopted into the Continental Army on 14 June 1775. The regiment was re-organized to ten companies on 28 June 1775 and assigned to Greene’s Brigade on 22 July 1775. The regiment was re-organized as the 11th Continental Regiment on 1 January 1776. The regiment would see action at Roxbury, Massachusetts during the Battle of Bunker Hill. The regiment was re-organized as the 2nd Rhode Island Regiment after the death of Colonel Daniel Hitchcock on 13 January 1777. In late 1777 it fought at the Battle of Red Bank and Major Simeon Thayer of the 2nd led the defenders during the latter part of the Siege of Fort Mifflin. The 2nd Rhode Island Regiment served to February 1781, having distinguished itself at the Battles of Monmouth, Rhode Island, and Springfield with several other skirmishes and minor engagements. In February 1781, the 2nd Rhode Island Regiment was combined with the remnants of the 1st Rhode Island Regiment to form the Rhode Island Regiment (1781–1783).